The journey of Vitto’s began in March 2016, when a group of friends decided to bring the local scene closer to wines after one of them was inspired by a trip to a wine bar in Paris. And no, none of them was named Vitto—the name of the restaurant came from a character of the popular mafia book and movie The Godfather, Vito Corleone. They weren’t hoping much as a wine bar was a fairly uncommon concept in the country. Manager Jo Cudal recounted how they were probably the first in the area to specialize in wines. But here’s Vitto’s three years later, revisited by regulars and being introduced to many. Vitto’s has an endless selection of wines coming from all over the world like Spain, Italy, California, Chile, France, among others. 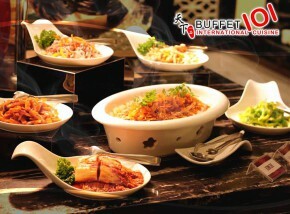 They always ensure to have something new to offer, especially to their regular customers. But what really sets Vitto’s apart is their daily unlimited wine and spirits offers, which they have been doing ever since they first opened three years ago. 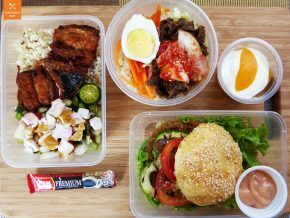 Vitto’s wine-all-you-can offerings are priced at Php 599 and Php 699 and are available from Sunday to Tuesday. The rest of the week is dedicated to unlimited servings of other drinks and cocktails they offer like margarita and sangria. Their promos have no limits may it be in terms of the number of glasses or number of hours. Customers can enjoy as many glasses as they can, but their staff could refuse to serve more to those who appear to be intoxicated already. 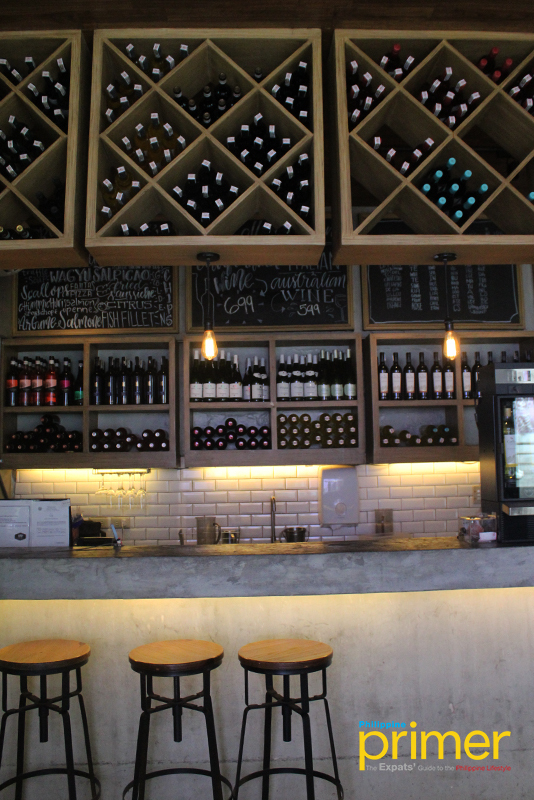 And since drinks are better enjoyed with food, Vitto’s also has a menu crafted to be savored with a glass of wine. 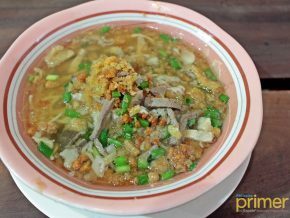 They don’t cater to a specific cuisine, but they have influences from Italian, Spanish and Mexican cuisine with modifications to fit the Filipino palate. 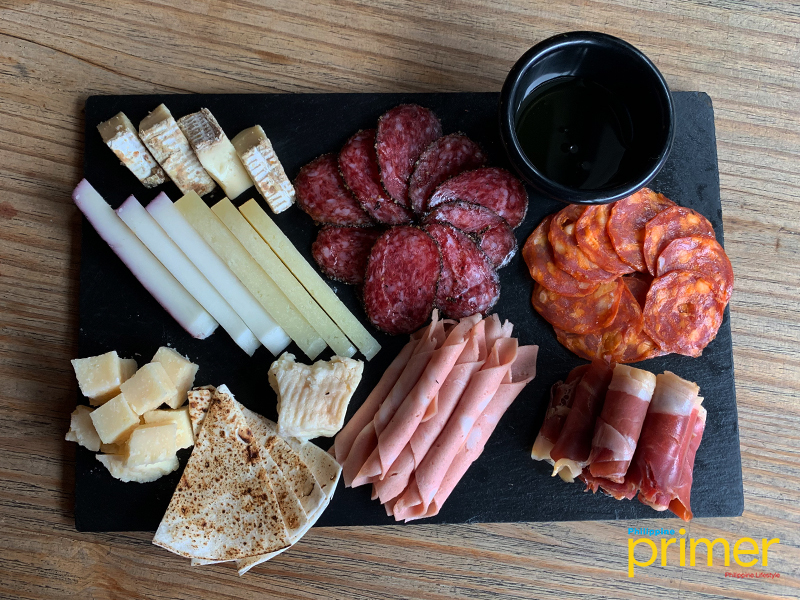 Wines are usually best enjoyed with an assortment of cold cuts and cheeses so if you’re looking for something easy to eat with your drink, their Mixed Cold Cuts & Cheese Platter (Php 955) is a must-try. 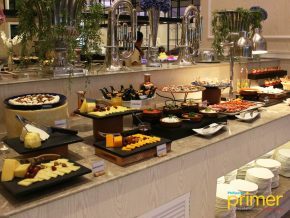 If you think a platter is too much, their cold cuts and cheeses are also available ala carte. 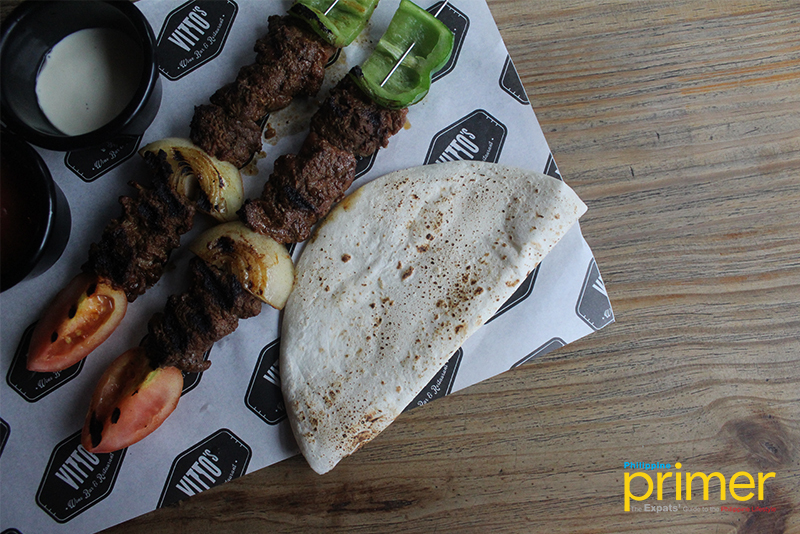 Steak Kabob (Php 370) is a go-to of those who want to drink wine with meat, without having to order a big chunk of steak. 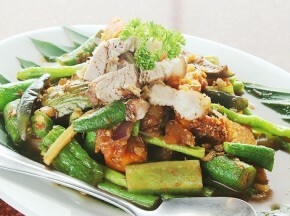 The marinated beef is skewed with vegetables and served with a garlic cream sauce. 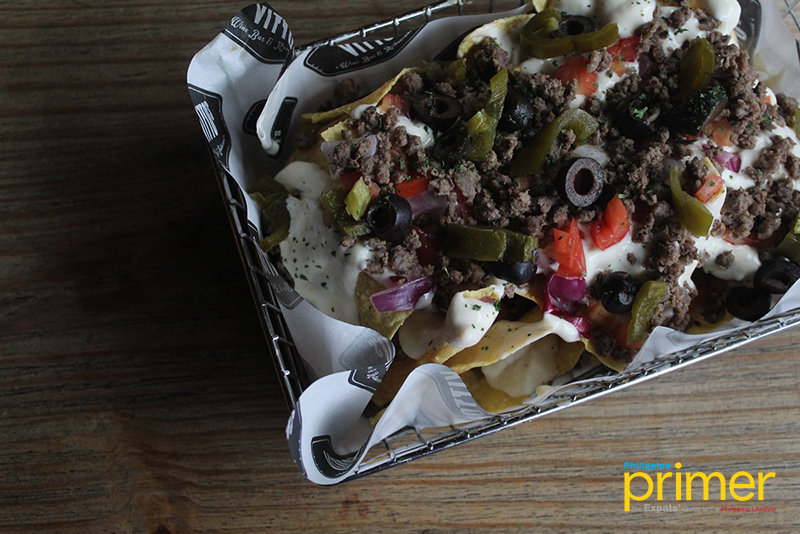 They also have something for wine nights with friends, their signature nachos Vitto’s Nachos (Php 380) is loaded with beef and cheese—perfect for sharing over a hearty conversation! 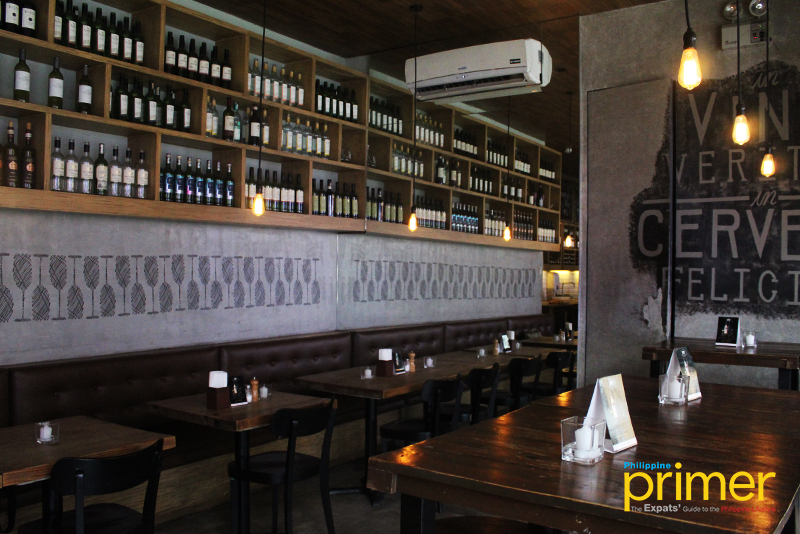 The wine bar, with its industrial interiors, exudes a chill and relaxing vibe that charmed many of their customers into coming back. 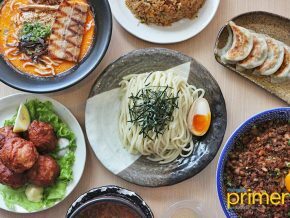 The place’s size served to be the perfect place for a cozy lunch out with workmates and an intimate after-work drink with friends. 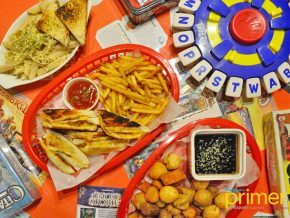 But what Vitto’s can offer extends beyond the four walls of their restaurant. Literally. Because behind one of its walls lies a speakeasy bar that offers drinks and spirits other than wine. 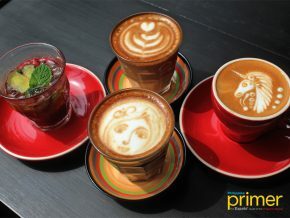 Prima Facie was opened a few months after Vitto’s did in 2016. 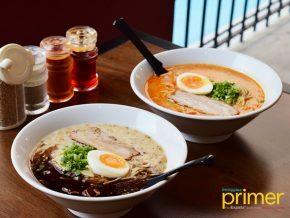 Speakeasy and secret bars were the hype during that time, so the owners decided to open their own in Quezon City. 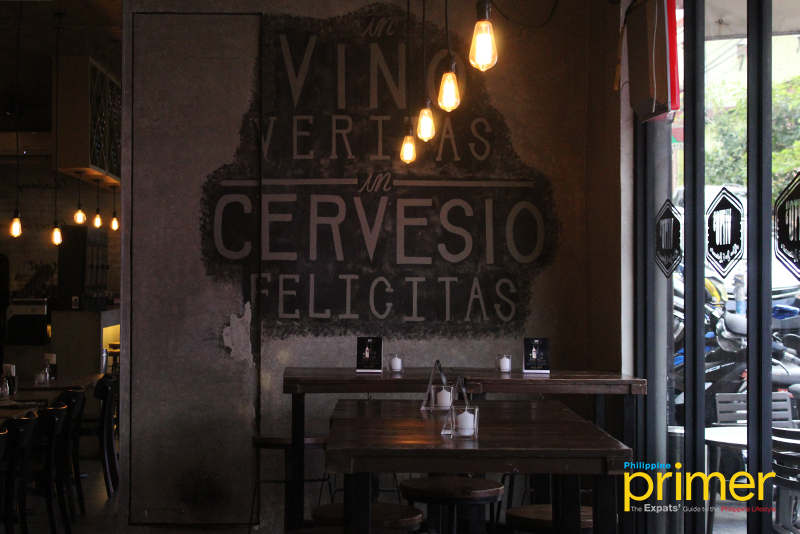 Manager Jo Cudal narrated that at first, it was really a secret bar as only a few regular customers know about it, but the place slowly gained popularity and was even featured by writers and influencers a couple of times. 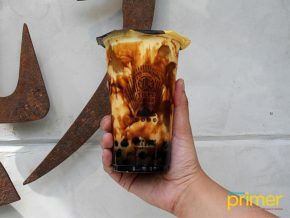 Cudal said that there are talks of adding more branches as they have patrons coming from Makati and Ortigas areas too, but there are no finalized details about it yet as of the moment. 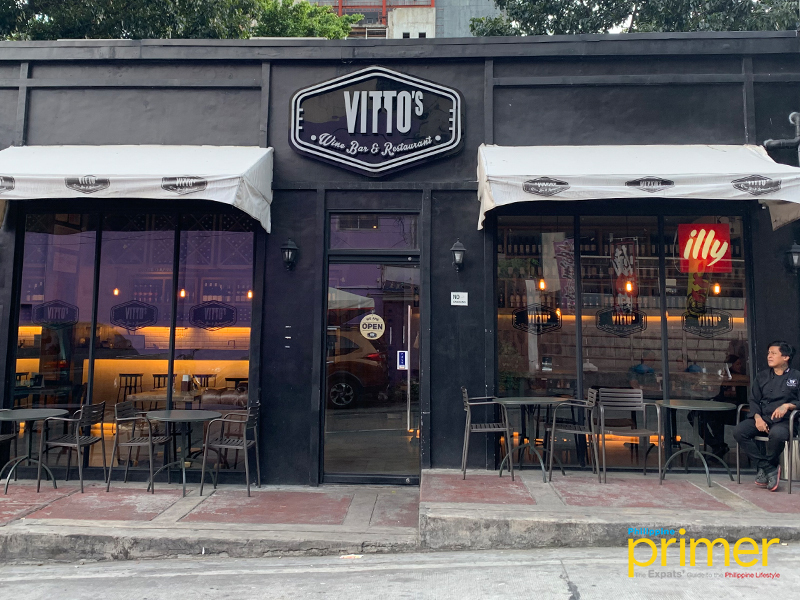 Visit Vitto’s Wine Bar and Restaurant at Tomas Morato in Quezon City. For reservations and inquiries, contact them at 02-374-2299 or at 0906-136-1712. You can also email them at vittoswine@gmail.com. Like their Facebook page at www.facebook.com/vittoswine/ or follow their Instagram at instagram.com/vittoswine. Monday to Thursday - 11:00 a.m. to 1:00 a.m. / Friday and Saturday - 11:00 a.m. to 2:00 a.m / Sunday - 6:00 p.m. to 12:00 a.m.